It’s no secret that most sales and marketing teams don’t have the best alignment. According to SiriusDecisons more than half (58%) of marketing and sales operations leaders view their alignment as poor. But there’s nothing more crucial for optimizing your lead-to-revenue process than getting inside sales and marketing to play nicely in the sandbox together. While there are all sorts of helpful apps and tools out there to improve your lead management likepredictive lead scoring; you won’t reap all the benefits of any new technology if your go-to-market team doesn’t trust each another. 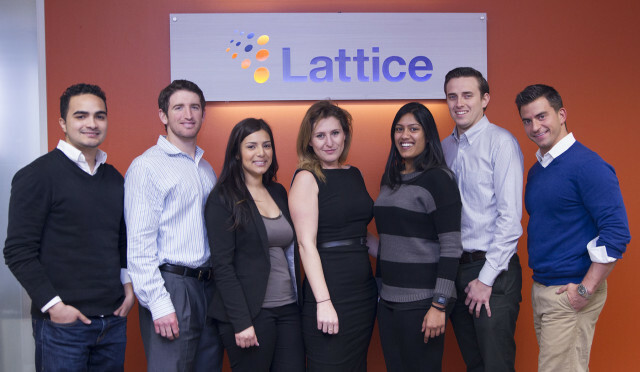 Fortunately for the marketers at Lattice Engines, we have a pretty solid working relationship with our inside sales team. But this wasn’t always the case. There used to be a lot of disagreement (even bickering!) between both camps about things like funnel stages, goals and service level agreements not too long ago. However these days we’re finally seeing one view of the truth when it comes to our revenue funnel. So how did we get there? When your company is growing very fast, sales needs all the help they can get from marketing to scale their efforts. We used our period of rapid growth and influx of new inside sales team members as a key opportunity to show sales that we do indeed have their back. Marketing and sales leaders need to be 100% committed to each other when making the necessary changes for alignment while leaving their egos at bay. When our new sales development director and head of sales came on board, we were incredibly fortunate that they both came from organizations that valued marketing’s impact on the pipeline. Our CMO, demand generation director and marketing operations manager spent a great deal of time with themcompletely reevaluating our funnel and pipeline with new sales leadership. When we did this as a team we were able to better understand where the gaps where and where we needed more rigor on lead follow up and what really mattered with reporting. Together we were able to help one another determine lead, opportunity and revenue goals and build better infrastructure around mutually agreed upon funnel stage definitions. Takeaway: Start with having your marketing and sales leadership assess the current state of your funnel and set all of the major goals together. This will provide the transparency and accountability that’s necessary for setting a good foundation for better alignment. When we were ramping up our demand generation efforts last year we weren’t always the best about giving the inside sales team a heads up on the spikes in new leads from programs and events. We would get lots of little questions here and there asking about lead sources and content consumption which gives them some much needed context for making those first calls. It was a very reactive type of communication and it was a waste of their time trying to piece together different bits of lead activity. To cut down on this confusion and save our dear inside sales friends some precious time, we revamped our launch process for new events and campaign launches to include posting about them on our company social media well in advance. We also took the time to centralize our marketing calendar so Sales had something to refer back to and know in advance when spikes would occur so they could better schedule times to focus on prospecting between the spikes. On the sales side? Marketers are always invited now to present at their biweekly team meeting on different campaigns and initiatives we’re working on. The sales development director also keeps us in the know on the inside sales team’s goals, new technologies being implemented and territory changes. Takeaway: Both marketing and sales need to give advanced warning about anything that will impact lead flow and the qualification process. Make an effort to educate each other by regularly inviting members of the other teams to your meetings, actively posting on internal social media or creating shareable calendars. Making a point to recognize the “small wins” that happen before a deal closes keeps both the inside sales and marketing teams motivated. It’s a fundamental part of keeping a healthy team dynamic. Our marketing team loves hearing about SDRs who crush their numbers. Our inside sales team loves it when the content team announces a new video or guide that’s getting tons of views. Is there an intro email that always gets a meeting booked? A campaign with a killer conversion rate? Share it with the other side of the fence! Not only does it help everyone understand each other’s job a little better, but it’s a great lead up to those inevitable closed deal notifications. Takeaway: You don’t always have to wait for the deal bell to ring to congratulate each other on a job well done. Encourage marketing and inside sales team members to share their smaller successes. And of course – don’t forget to give props to your counterparts for doing awesome work!